KZ created a totally new concept vehicle to premier at this year’s RVX show, in Salt Lake City, UT. KZ’s concept vehicle, the Venture Sonic-X, is a must see! Starting out life as a humble Sonic 220VRB, it was designed as the perfect city escape for the ultimate adventurer. 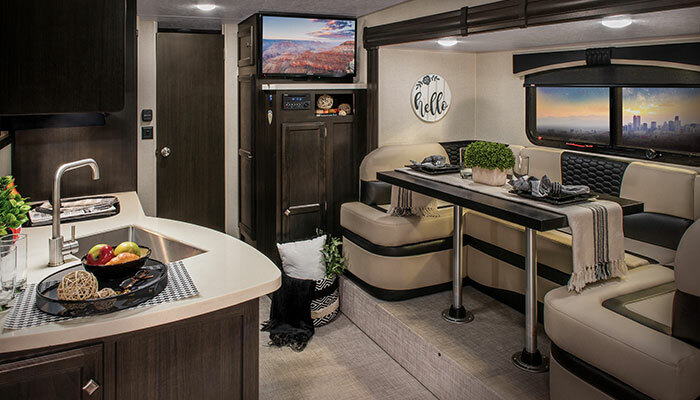 Sonic-X is loaded with technology and modern appeal. 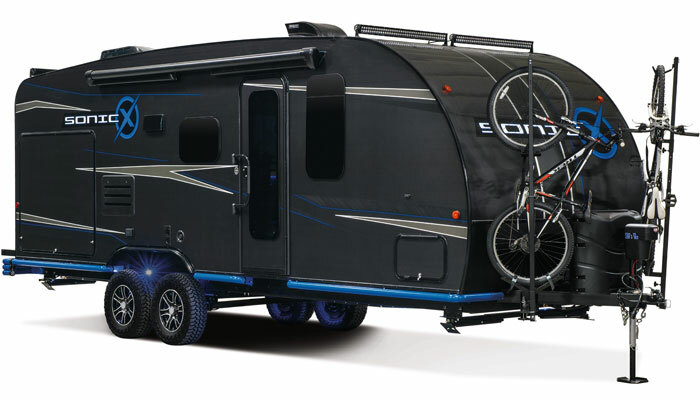 The carbon fiber exterior with matte black graphics and blue highlights draw you in for a look at this dry camper’s dream.